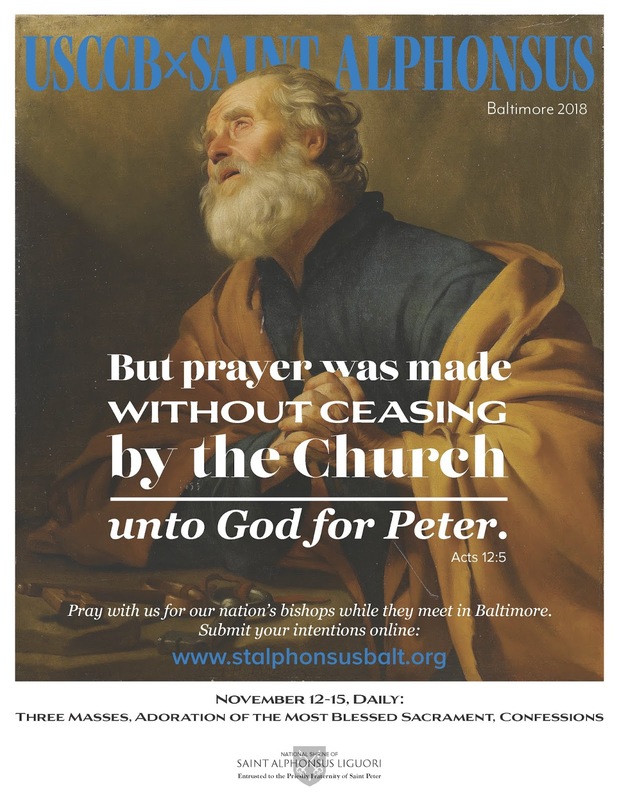 In a most timely and appropriate initiative, the Priestly Fraternity of St Peter has made a special schedule of Masses, Confessions, and Eucharistic Adoration at St Alphonsus in Baltimore for the plenary meeting this week of the United States Conference of Catholic Bishops. 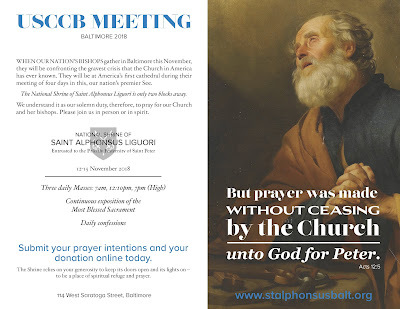 Information in the poster and card below. Please help spread the word! 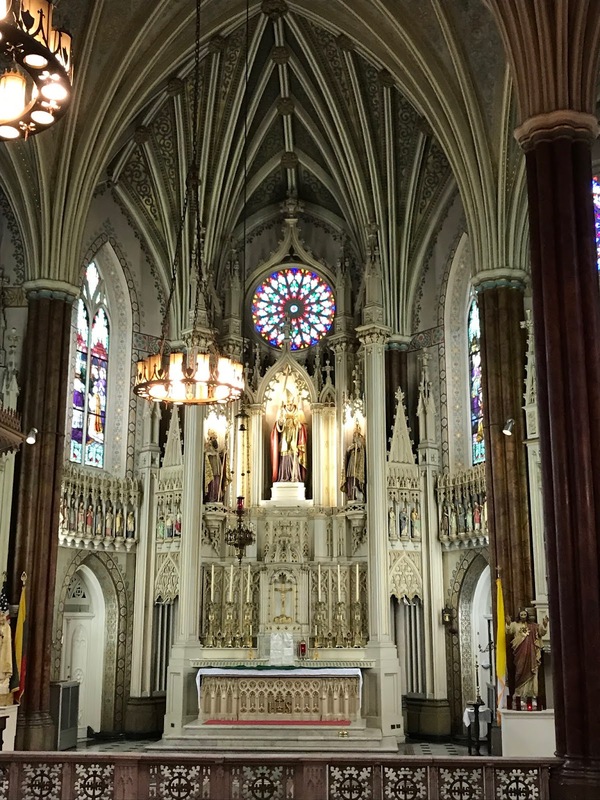 St Alphonsus has one of the most beautiful sanctuaries of any church in the greater metropolitan area around the nation’s capital. 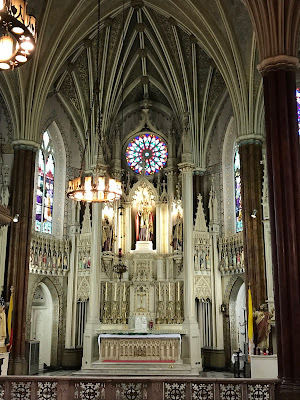 Whether you are able to go to St Alphonsus or not, please pray earnestly for the bishops of the United States this week, as they face not only massive problems in the Church at large but the more insidious problem of deep rifts, heterodoxy, and cover-up within their own ranks. 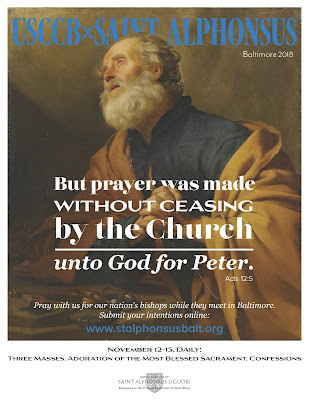 May the Immaculate Conception intercede for them and for all who invoke Her as patroness!